What did you do yesterday? Did you go to school? Did you go to work? Whatever it is that you did, there is a good chance you didn’t experience what this New Hampshire police officer went through. In fact, you’ve probably never experienced something like it in your entire life – and, of course, that wouldn’t be your fault, because no one has! Well, perhaps zookeepers, or bear trainers – but even they probably never dealt with something quite as unique as this. When a police officer was driving down a road one day, he saw something very interesting. 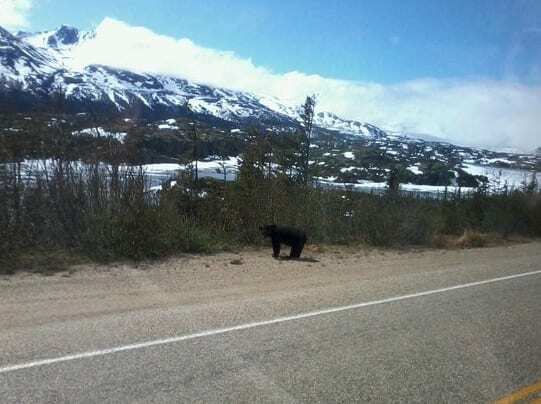 He saw a number of black bears crossing the road – and what happened next was quite amazing. 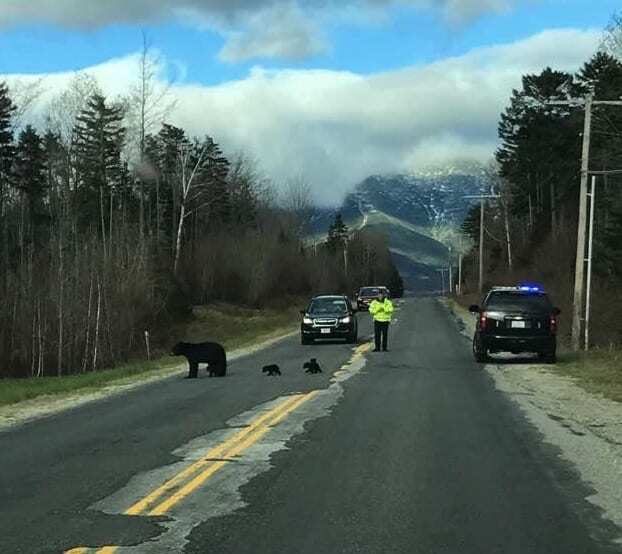 We are always making choices in life, and when this officer saw the scene of roaming bears in front of him, he wasn’t sure what to do at first. First he decided to just watch them, and appreciate the animals at work. But then he saw something that deeply upset him, and he couldn’t turn away after that. Because there is another element to this story that is crucial to mention. 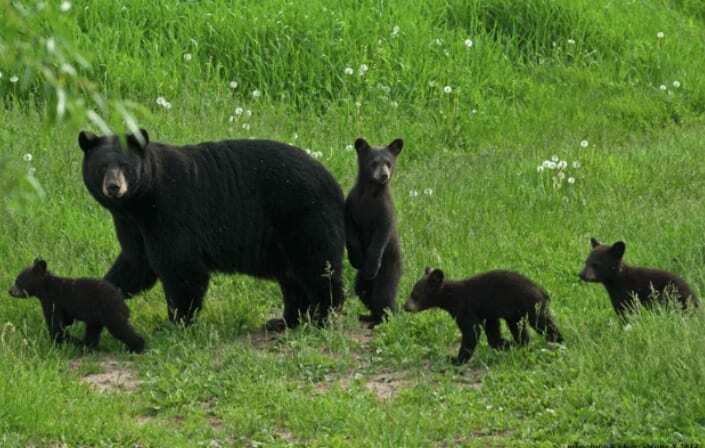 These weren’t just any black bears… This was a family. 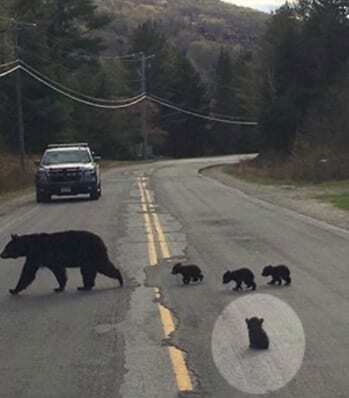 A mother and her four baby cubs – and there was a decision to make. It was a bright, clear day when a New Hampshire police officer from the Town of Carroll was driving down a long road. He probably wasn’t expecting anything too unusual to happen, at least not the kind that was about to take place before his very eyes. Granted, his job was the type that attracted all kinds of mischief, but that kind of stuff usually came from criminals – of the human variety. He served his police department by bringing justice through reprimanding wrongdoers – and what he was about to experience was certainly not on his job description when he first signed up to be a cop – but it would change him forever. As the officer turned a corner, he saw something that he couldn’t believe. Right in front of him, in broad daylight, were a group of bears attempting to cross the street. He panicked quickly because he didn’t want to hit them, and braked as quickly as he could. Luckily, he didn’t hit the bears, and he sat there patiently and in shock as he let the bears walk through. He was still very overwhelmed by the whole thing, and it was taking some time to process in his mind what was happening. He started asking himself questions, such as: How many bears were there anyway? Where did they come from? After taking a deep breath and immersing himself in the scene before him, it became clear that there were a total of five bears – one large mother and her four little cubs. She was leading the way across the street, and the rest of them were following her like training little soldiers. Well, it seemed that way at first. 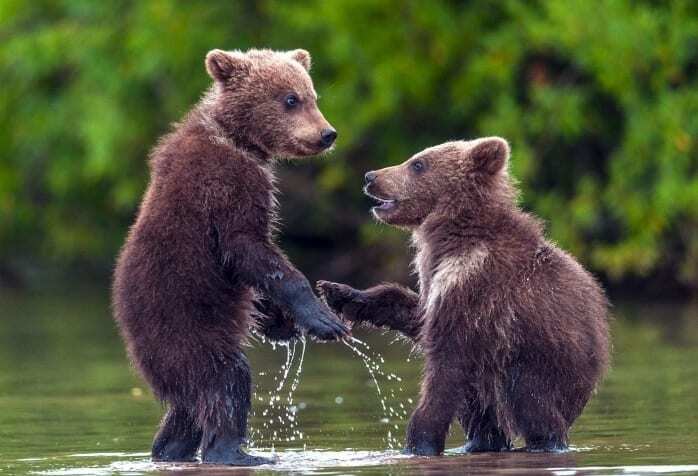 After watching them go for a while, something began to unfold amongst the cubs that not only took the officer by surprise, but also slightly upset him. 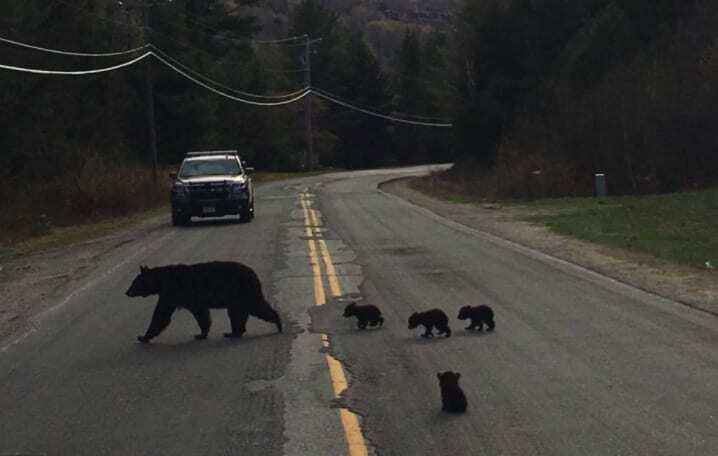 As we mentioned, the mother bear was trying to get all of her babies to follow her lead, and make their way across the street. But as hard as she was trying to keep them all together, it very soon became clear that one of her cubs was struggling more than the rest of them. The poor cub seemed ill, and he unable to move as easily as his siblings. The mother could’ve went back to help, but she seemed unsure about what to do. 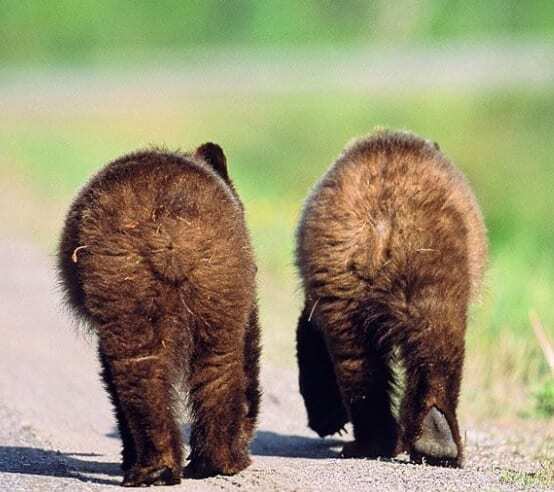 The clock was ticking, and the baby cub was still struggling to keep up. Eventually, he just gave up and plopped himself down in the middle of the road. 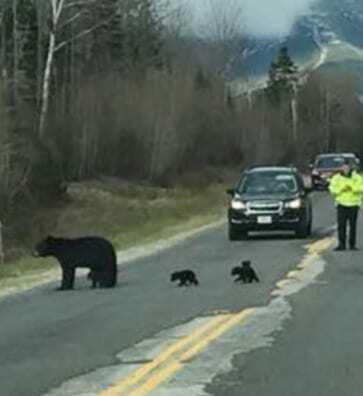 The officer could tell that she wanted to help out the straggler, but also that she didn’t want to potentially sacrifice the rest of her cubs by leaving them to fend for themselves, while also in the middle of the road. So she left her baby alone. When the officer saw this happen, it was truly heartbreaking for him to witness. 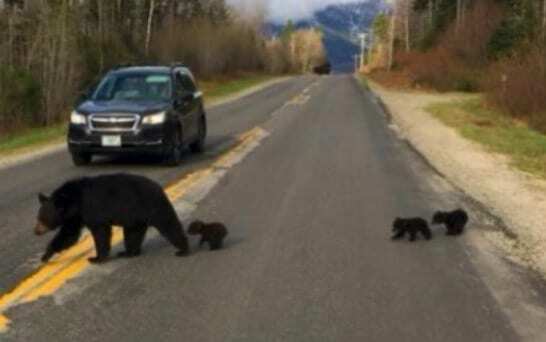 He was in disbelief that a mother bear could leave her baby stranded in the middle of a road, but this was no time for judgement – this was the time for action. Although he knew that bears can be extremely dangerous, he realized that he couldn’t leave the poor cub there as well. He couldn’t in good conscious turn a blind eye to what was happening in front of him. Knowing that time was of the essence, the police officer immediately jumped out of his car and ran toward the cub. 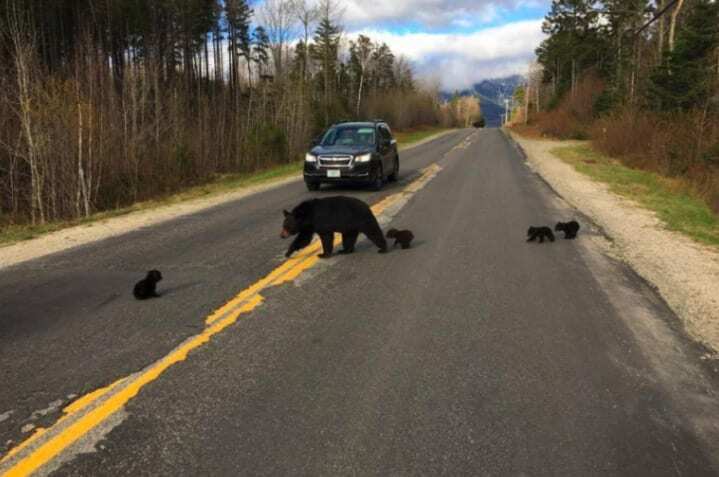 Even though the cub was only a baby, the officer understood he needed to be careful – plus, the mother bear wasn’t far away. Still, he confidently trotted up to the bear cub and scooped them up. Upon holding the cub, it became quite clear to this man how ill they were. 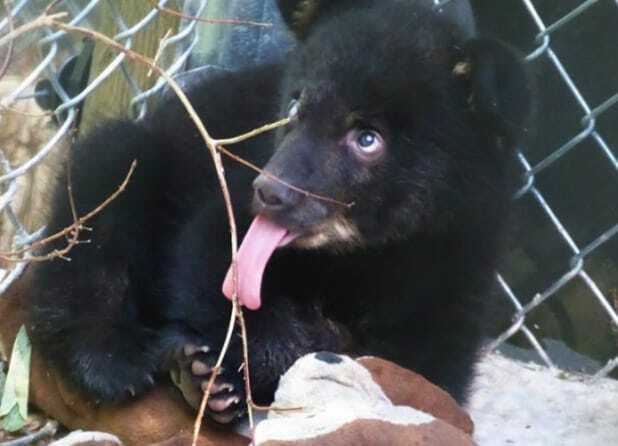 This bear cub couldn’t afford to go back to the wild – they needed professional help. 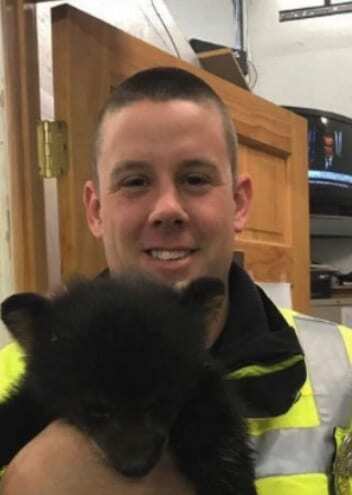 This wasn’t just a police officer who knew how to fight crime – this was a resourceful man who knew what to do with a bear cub that was suffering from an ailment. Seeking to give the baby bear proper help, he took him to a professional rehabilitation clinic. “It was too weak to keep up with its mom and siblings,” reported the police department, discussing their thought process. And very soon, they would realize that this bear cub wasn’t the only one who needed help. 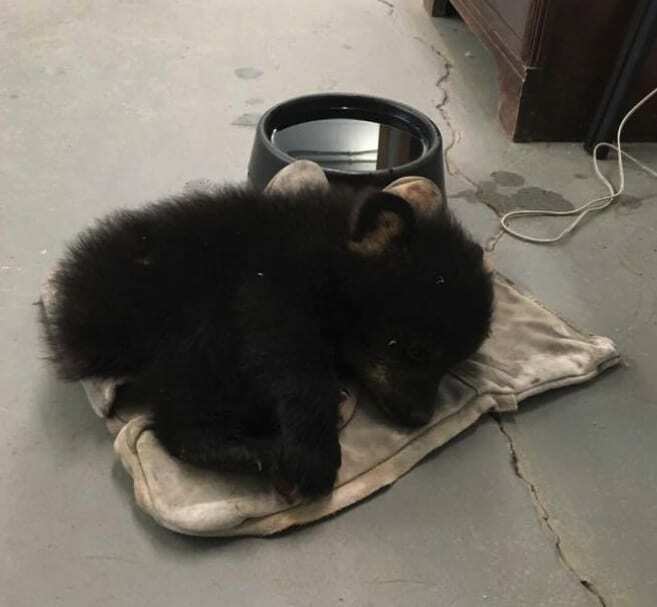 After doing the thorough investigation of the area, the police department discovered that there was another bear cub stranded in the middle of nowhere. 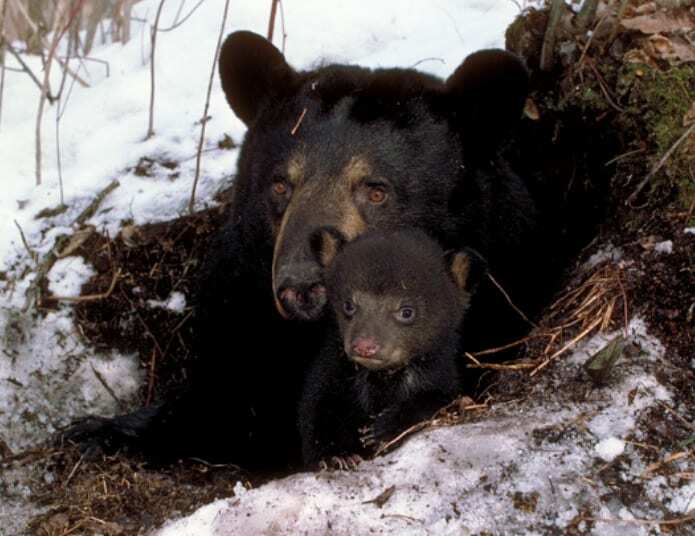 It was the fifth cub of the mother bear, another baby that was sick and struggling. 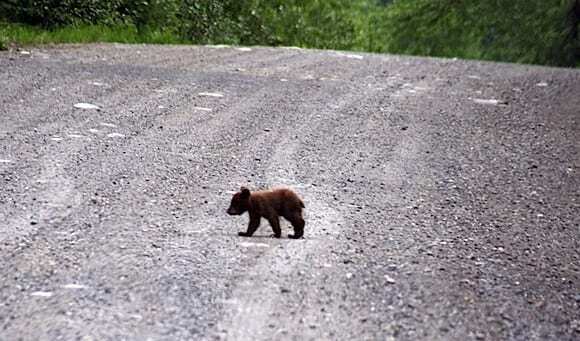 This was a hard pill to swallow, because it meant that the mother bear had left this cub as well, before she left the second one. But hey, survival of the fittest, right? 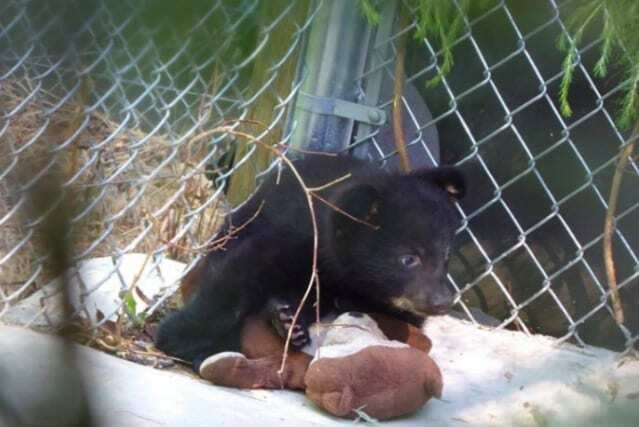 The cops didn’t think so, and brought this second cub to the rehabilitation clinic as well. Once the two brothers were together in the rehab clinic, it was nice to see them reunited. Perhaps the conversation went something like this: “Bro! How’ve you been, man? Remember when Mom abandoned me? How’d you get here?” “Hey brother… Yeah, that was pretty crazy, but guess what. She did the same thing to me, too!” “What, no way!” “Yep… she did us both dirty.” We may have taken a few liberties with this hypothetical conversation, but you get the idea. So how did they rehabilitate these cubs? Well, the first thing they did for them was give them food. “Fish and game” were the officers’ descriptions of the food that they gave the cubs when they brought them in, because they were extremely weak. In fact, it was only when they were brought into the clinic when it became clear just how weak they were. 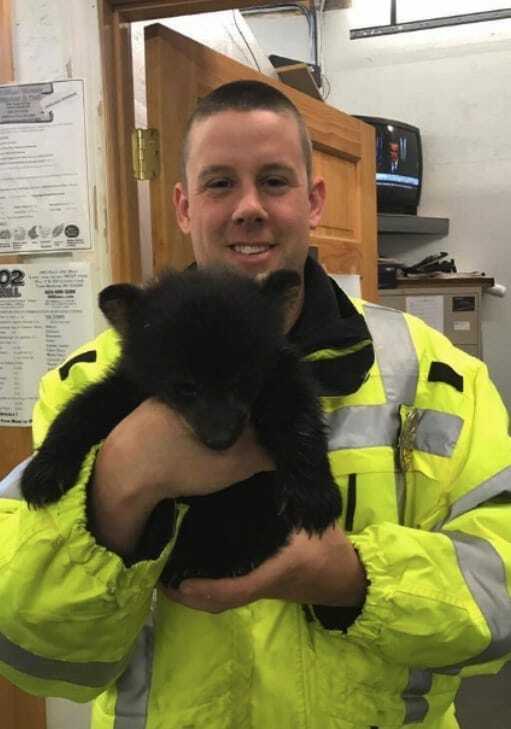 If the officer hadn’t retrieved the bear cub off of the road, there is a good chance he wouldn’t have survived. Everything that happens in this life of ours leads to something else. Like a domino effect, you never know how the smallest thing that you do can change something else in a much bigger way. 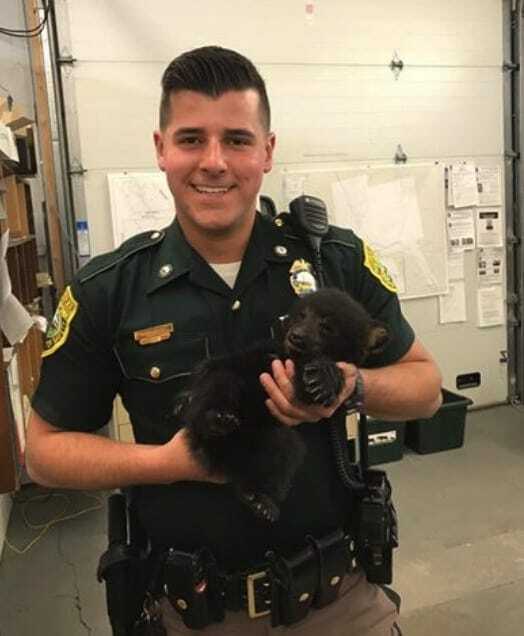 In the case of this story, we already acknowledged how the police officer saved the first cubs life… But the interesting thing here is that if he hadn’t saved the first cub’s life, he probably wouldn’t have ended up finding the second cub and saving him as well. Although the cubs were now safe and sound in the rehab clinic, there was still work for them to do. They weren’t even close to being ready to be put back out into the wilderness, but the rehab clinic was confident that they’d be on track to get back out there soon enough. Once they were ready, the plan would be to return the cubs not only to the wild, but to their mother as well, who despite having to make some tough choices, must have missed them. To add a whole new interesting element to the story, you may be intrigued to learn that this entire debacle was filmed on camera! Jane Langmaid was the master behind the filming, and she realized from the start that there was something special unfolding in front of her. 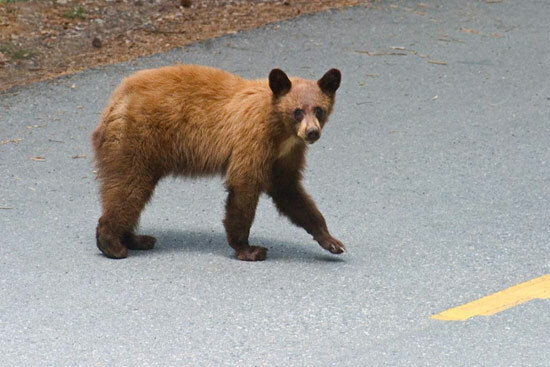 She was also driving innocently down the road when she saw the officer leaving his car and attempting to help the bear cub. The footage is quite astonishing, and it really hits home when you watch it. In addition to her filming of the whole story, apparently Jane Langmaid is also somewhat of a wilderness expert. She want to explain a little bit more about where the bears came from, and how the whole story came into place. She talked about how it all took place in Bretton Woods, a landmark that is a part of White Mountain National Forest. This forest is enormous, with over 750,000 acres of protected wilderness – and for that reason, there are all kinds of animals there. White Mountain National Forest is the home of countless interesting animals, such as coyotes, deer, moose, and bobcats! But while all kinds of vicious animals may live in this forest, there is no animal quite as formidable as the black bear. And guess what, there are a large amount of them in this forest. 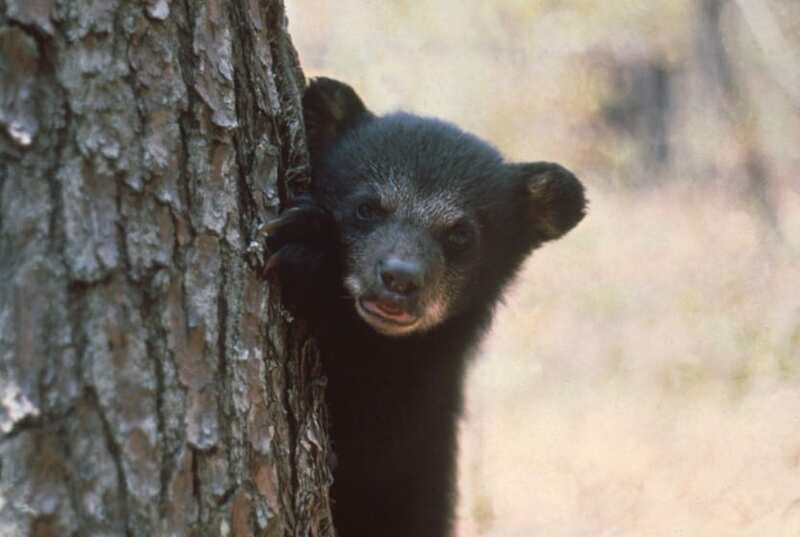 In fact, in the state of New Hampshire alone, there are an estimated amount of 4,800 to 5,000 black bears. So if that’s where you live, you shouldn’t be surprised if you run into a bear. But what makes this story so amazing isn’t just the fact that there were bears involved. The officer and Jane Langmaid were still very surprised when they saw the bears on the road, but what drew them in was something different. It was the emotional quality to the story – the fact that there was not just a bear in need, but a living creature in need. It could have been a frog that needed help, and the officer still would have saved him. For Jane, making the video was something like a social service in her eyes. One one hand, yes, she thought that the story was really cool – and she knew that people would like it, and that the video could potentially go viral. But even more than that, Jane said that she felt that her video was an educational tool as well. She said that it “demonstrates the problem as well as the great love of the bear family.” But what problem was she referring to? The thing is, what exactly have we learned from this story? If Jane Langmaid’s video exists to educate us, what is its primary goal? Is it for us to learn that there are more bears than we think in our very backyard? 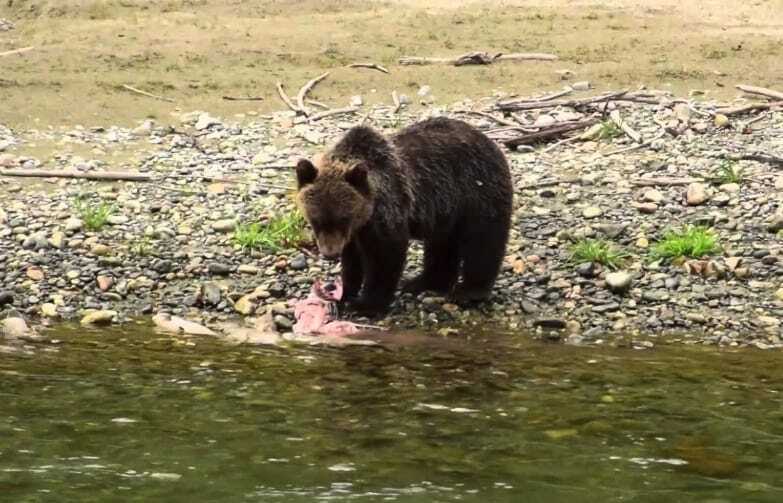 Is it to learn that there are mother bears out there that are willing to leave their weaker babies stranded, in order to save themselves and care for their stronger offspring? Perhaps… but how are we supposed to fix something like that? How can one reprimand a mother bear for doing such a thing? Perhaps the real lesson from the story is that we should always keep our eyes peeled. The police officer, who is also the hero of this story, saw something happening, and sprung into action. It’s easy to say afterward that his decision was a no brainer, but when it all took place in real time, the gears in his head were probably spinning like crazy. He was seeing it all for the first time, and he was not expecting it in any way. So yes, we should all take a leaf out of this police officer’s book and try to realize that sometimes in life, we’ll come into contact with things that we don’t expect. And when that happens, it’ll be our decision whether we want to take action or not. There is nothing wrong with being afraid… Fear is a natural emotion we have. But if we’re actually afraid of our own ability to make a positive change, then perhaps it’s a sign that we need to take a step forward. 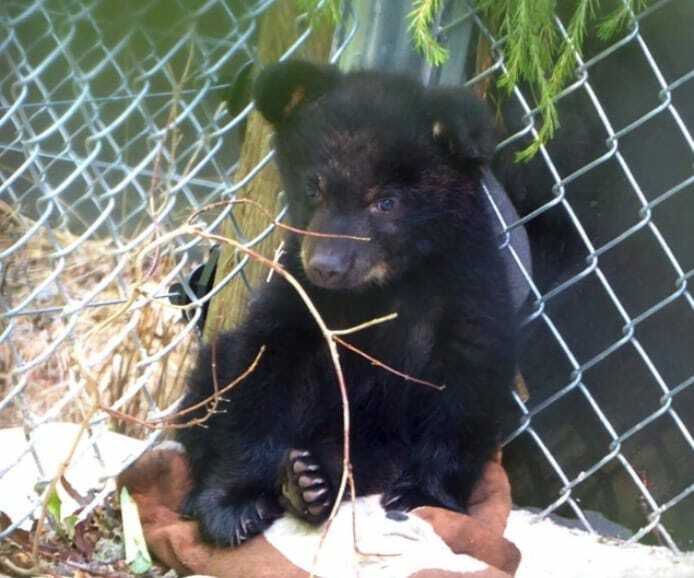 Thanks to a brave officer, now two baby black bear cubs will have a much better life. They were deserted with nowhere to go, and they may have perished if it hadn’t been for him. Now, they will have a chance to live a potentially beautiful and fulfilling life, and perhaps have some kids of their own someday. It’s like the butterfly effect – you never know how changing the tiniest thing in the present can affect something monumental in the future. Another interesting thing we learned is a sort of “beauty and the beast” type of lesson. Bears are generally animals that are revered with much respect – in the sense that they are very, very dangerous. But this story comes to remind us that bears are just like all other creatures on this earth – living beings that need love and care. On the outside, they may seem scary, but when you wade through to the core, they are as cuddly as a little house on the prairie. 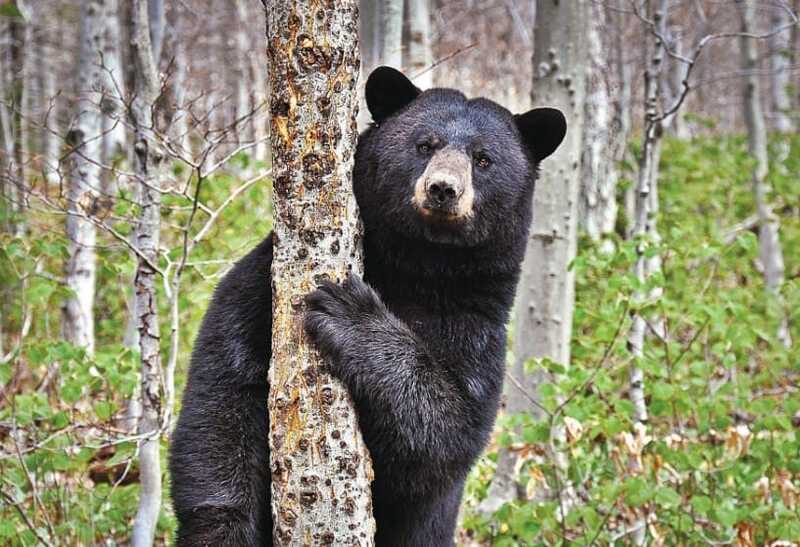 Have you ever heard the saying “don’t try this at home?” With all of our talk that bears actually are a lot “nicer” than most of us perceive them to be, we still strongly encourage you to be cautious when you’re roaming the their neck of the woods. True, this is a very inspiring and heartwarming story, and we’ve certainly all learned a lot from it, but that doesn’t mean you should run out into the forest looking for any lost cub you can find. It’s all about striking that precious middle ground. Life is all about balance, and understanding where the sweet spot is for every scenario. There is a certain subtly involved in almost every facet of life, and this bear story is no different. 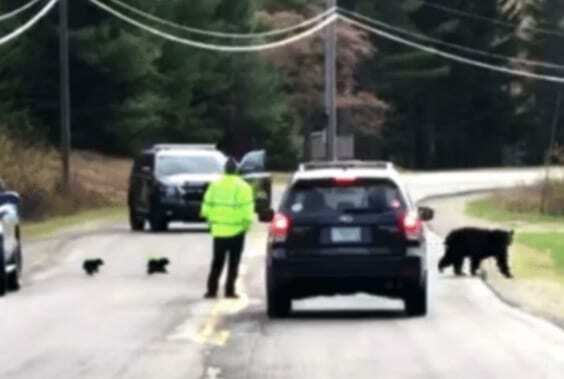 The police officer saved these two bear cubs lives, but it wasn’t something he planned on doing. He did it because he had to, and that was where the day had taken him. We doubt that this act of heroism will consume his life. If you think that we’re being too paranoid about the potential dangers of the forest, then that’s your prerogative, but you truly never know the kinds of animals you may find out there. Wildlife experts have claimed that in the forest where our bears we found, there are actually 184 different species of birds! For this reason, the landmark obviously attracts all kinds of people – but we advise you to go with a buddy, and not alone. 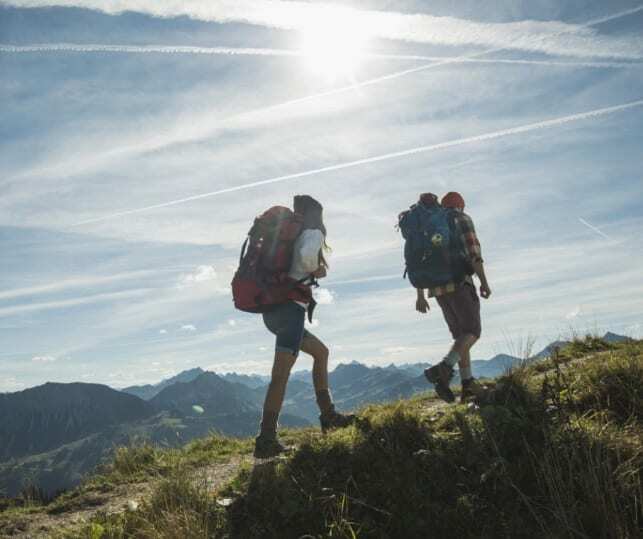 We also advise that if you ever decide to go on a wild expedition or adventure, tell someone at home about it. Tell a loved one where you’re going, and have them check up on you from time to time. Have you ever seen the movie 127 Hours, starring James Franco? The moral of the story was that no matter how much you think you know about traveling and being in the wild parts of the world – it doesn’t hurt to be on the safe side.